Choose between the Gold Lame' look of the '50's or the 70's Las Vegas jumpsuit. Personalize your gig by select from over 50 songs in his repertoire. Guest of honor receives a silk scarf, a teddy bear and a custom CD with the songs you've chosen. 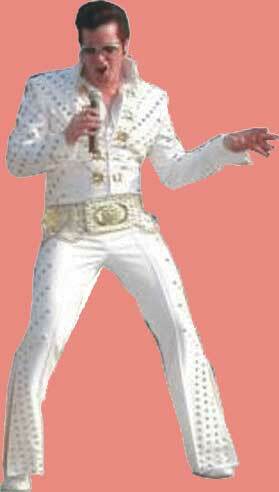 so when Elvis bursts on the scene, it's a total surprise.